Dallas VideoFest 31 presents the final series of films in its 31st season with Alternative Fiction Fest, or AltFiction for short. The festival will feature dozens of narrative features, TV-focused episodes and short films throughout four days, Feb. 7-10, 2019, at the Angelika Film Center in Dallas. AltFiction Fest highlights ways of telling stories on large screens and small — film, TV and web — mixing media and mediums. 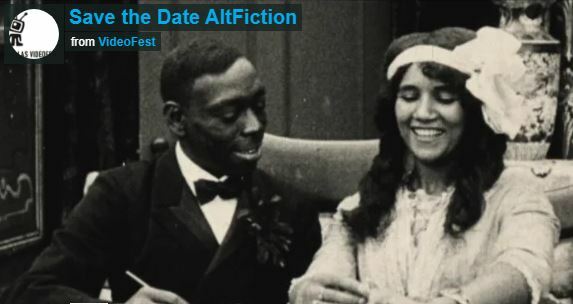 The narratives that make up the majority of AltFiction Fest explore this moment in time at the intersection between media and how cinema artists can create original work in this new world. See unique stories and new works from local filmmakers and reflections on classic filmmakers. The festival will also highlight women filmmakers from the earliest days of cinema in the 1890s to the present. Women were among the first to run with film in all areas of filmmaking, not just acting. They wrote, directed, produced, and did just about everything, behind the scenes. Join the VideoFest community with a yearly membership, and experience perks all year. Click here to learn more. Check out the Dallas VideoFest Facebook page for more updates.